The Boston Handbell Festival embodies two missions of the Back Bay Ringers: to highlight advanced handbell talent within New England and to pass the art form on to the next generation. 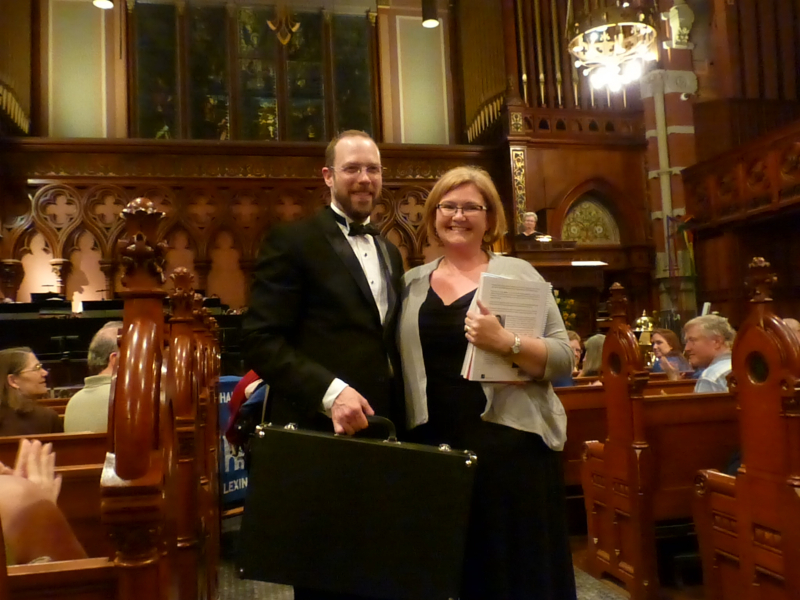 Funded mostly through the generosity of the 2014 Boston Handbell Festival’s free will offering, BBR once again was able to donate a two-octave set of Malmark Choirchimes and some music to a local school. This year’s recipient was Holbrook Public Schools, represented by elementary music teacher Rachael Sordillo. Ms. Sordillo splits her time between the K-3 John F. Kennedy School and the grade 4-6 South School as the district’s only music teacher. Because she spends her time between two different schools, Ms. Sordillo is particularly excited about the portability of the Choirchimes. Having the Choirchimes will allow Ms. Sordillo to expand the opportunities for her students to play melodic instruments in the classroom. Included in the donation is a one-year mentorship with BBR’s Artistic Director, Griff Gall, who is also an elementary music specialist in Danvers Public Schools. As BBR’s youngest member, Chelsea’s Childhood Memories aren’t in the too distant past. 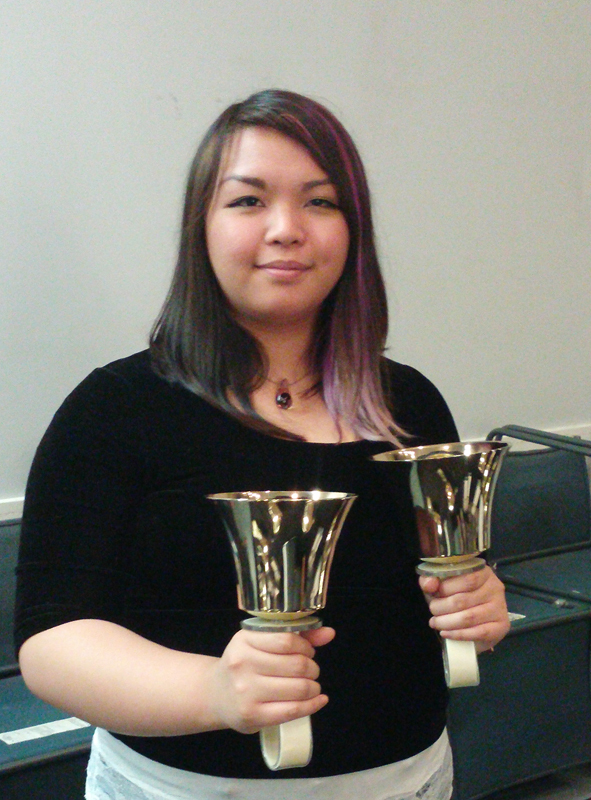 Chelsea began ringing under Griff Gall in the Salem State Handbell Ensemble, as well as with the Bellringers of Ste. Anne in Salem, MA in the Fall of 2011. She remains an active member of both groups, even as she joined BBR in January. She is currently pursuing a degree in music at Salem State University with a minor in Educational Studies and a concentration in voice. She has also cantored at the Church of St. Paul in South Hamilton, MA.